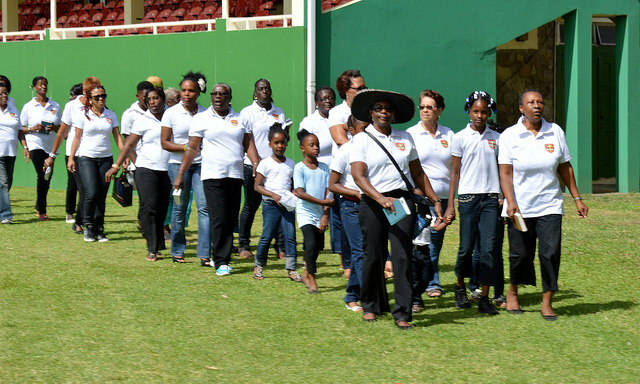 It should be said at the outset that there was not always a Diocese of the Windward Islands. 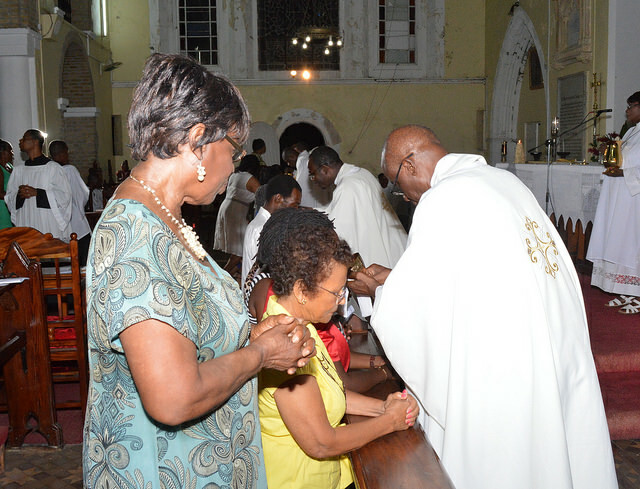 There was a time when the Anglican Church in the West Indies came under the jurisdiction of the Bishop of London. This arrangement continued until 1824, when by letters Patent issued by King George the Fourth, two Dioceses were created in the West Indies: the Diocese of Jamaica in the West, which included the Bahamas and the settlements in the Bay of Honduras, and the Diocese of Barbados in the East, which included the Leeward Islands, the Windward Islands, Trinidad and British Guiana, as it then was. Two Bishops were accordingly consecrated in England on 25th July, 1824, and sent out to preside over these two newly created Sees. Dr. Christopher Lipscombe was enthroned as Bishop of the Diocese of Jamaica, while Dr. William Hart Coleridge was assigned to the Diocese of Barbados. Bishop William Coleridge, who arrived on his Sees on 29th July,1825, was given of the church of the Windward Island, and must, therefore, be regarded as the first Bishop of the Windward Islands until 1842. 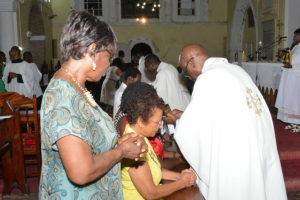 The next five Bishops of Barbados: Thomas Parry (1842-1873), Dr. John Mitchinson (1873-1881), Herbert Bree (1882-1898), William Swaby (1900-1917) and Alfred Packenham Berkeley (1917-1930), all in turn exercised jurisdiction over in the Windward Islands. 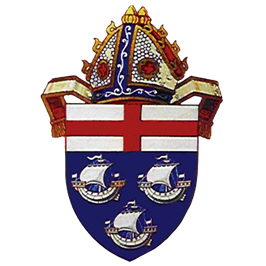 A separate Diocese of the Windward Islands was created in accordance with Letters Patent on the 8th November, 1877. 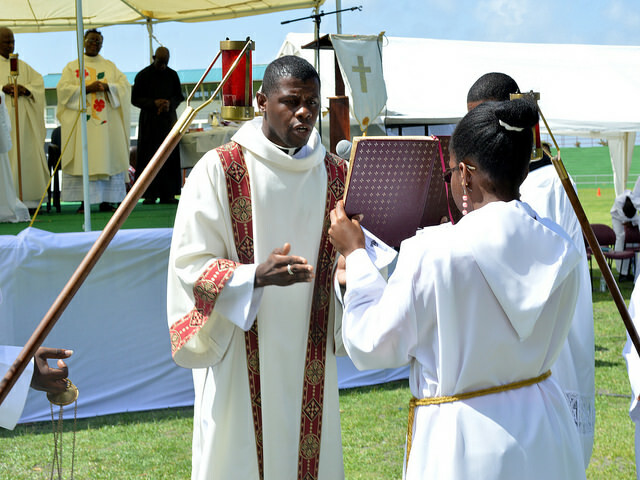 Although the Windward Islands were created a separate Diocese in 1877, it was not until fifty years later, in the year 1927, that the original intention that the Diocese of the Windward Islands should have its own Bishop became a reality. 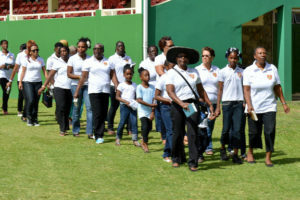 A synod of the Windward Islands held in 1926 expressed the strong opinion that the time had come when the Diocese should stop sharing a Bishop with Barbados, and secure its own Bishop. On March 19, 1927, the Synod of the Windward Islands elected Bishop Alfred Berkeley, the retired Bishop of Barbados, as Bishop of the Windward Islands. 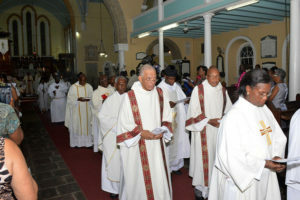 Bishop Berkeley must therefore be regarded as the first Bishop of the Windward Islands after their independence from the Diocese of Barbados, and the one from whom a line of Diocesan Bishops followed. When Bishop Berkeley resigned and retired to England in 1930, he was followed by Bishop Vibert Jackson (1930-1936), who in returned was followed by Bishops Horace Norman Vincent Tonks (1936-1947), Ronald Norman Shapley (1949-1961), Harold Grant Pigott (1962-1969), George Cuthbert Manning Woodroffe (1969-1986), Philip Edward Randolph Elder (1987-1994) and Sehon Sylvester Goodridge (1994-2005). 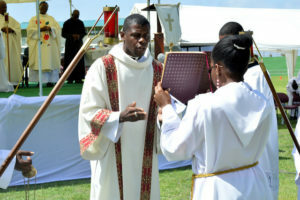 Our current Bishop, The Right Reverend, C. Leopold Friday was ordained in 2006.